Tom Whitehead, Henry Samuel and Peter Foster, “Brussels attacks: who are the likely terror suspects behind the attack?” Telegraph (London), March 24, 2016, http://www.telegraph.co.uk/news/worldnews/europe/belgium/12200965/Brussels-explosions-who-are-the-likely-terror-suspects-behind-the-attack.html. Abrini was arrested alongside fellow suspects Osama Krayem, Herve BN, and Bilal EM. While in custody, Abrini has admitted that ISIS was originally planning to launch another attack on France, but that the group changed its target to Belgium following that country’s March 18, 2016, arrest of ISIS gunman Salah Abdeslam.Kim Willsher, “Brussels terror cell ‘planned to attack 2016 Euro tournament’,” Guardian (London), April 11, 2016, https://www.theguardian.com/world/2016/apr/11/brussels-terror-cell-planned-to-attack-euro-2016-tournament. Abrini is also believed to have had links to the November 2015 Paris attacks. On November 11, 2015—two days before the attacks—Abrini was filmed in a gas station with “childhood friend” and Paris attacks suspect Salah Abdeslam.Tom Whitehead, Henry Samuel and Peter Foster, “Brussels attacks: who are the likely terror suspects behind the attack?” Telegraph (London), March 24, 2016, http://www.telegraph.co.uk/news/worldnews/europe/belgium/12200965/Brussels-explosions-who-are-the-likely-terror-suspects-behind-the-attack.html. Abrini drove with Abdeslam in a Renault Clio that was used during the attacks. According to the Belgian prosecutor’s office, Abdeslam had intended to participate in the attacks by detonating a suicide bomb near France’s national sports stadium north of Paris, but ultimately backed out.Alastair MacDonald and John Irish, “'I was a suicide bomber': Paris suspect charged in Belgium,” Reuters, March 20, 2016, http://www.reuters.com/article/us-france-shooting-abdeslam-idUSKCN0WK1KB. Abdeslam was captured by Belgian police in the Brussels neighborhood of Molenbeek on March 18, 2016.“Salah Abdeslam arrêté à Molenbeek, les opérations toujours en cours (direct vidéo),” Le Soir (Brussels), March 18, 2016, http://www.lesoir.be/1155105/article/actualite/belgique/2016-03-18/salah-abdeslam-arrete-molenbeek-operations-toujours-en-cours-direct-video. Tim Hume, “Brussels raids: Police hit Molenbeek, area at heart of Belgium's jihadist threat,” CNN, November 16, 2015, http://www.cnn.com/2015/11/15/europe/paris-attacks-belgium-molenbeek/. On January 30, 2017, Belgium surrendered Abrini to French authorities for one day so that they could charge him for involvement in the November 2015 Paris attacks.“France charges suspected Brussels bomber over Paris attacks,” France24, January 30, 2017, http://www.france24.com/en/20170130-france-brussels-bomber-abrini-questioning-over-paris-attacks. He was charged with belonging to a terrorist organization, complicity in explosives manufacturing and transportation, and other offenses related to the attacks.“Brussels airport terror suspect charged over Paris attacks,” Belfast Telegraph, January 30, 2017, http://www.belfasttelegraph.co.uk/news/world-news/brussels-airport-terror-suspect-charged-over-paris-attacks-35409158.html. 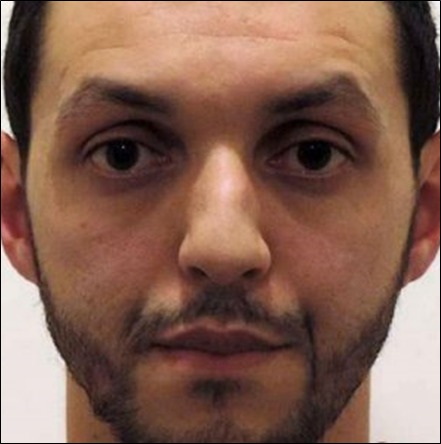 Abrini faces multiple life sentences from both Belgian and French charges related to the two attacks.Peter Allen, “Paris and Brussels attack prime suspect charged with terrorism offenses and faces multiple life sentences,” Mirror (London), January 30, 2017, http://www.mirror.co.uk/news/world-news/paris-brussels-attacks-prime-suspect-9722901. Mohammad Abrini“Counter Terroism Designations,” U.S. Department of the Treasury, August 3, 2016, https://www.treasury.gov/resource-center/sanctions/OFAC-Enforcement/Pages/20160803.aspx. Mohammed Abrini“Counter Terroism Designations,” U.S. Department of the Treasury, August 3, 2016, https://www.treasury.gov/resource-center/sanctions/OFAC-Enforcement/Pages/20160803.aspx. Mohamed Abrini is a Belgian citizen, U.S.-sanctioned terrorist operative, and a suspect in ISIS’s November 2015 Paris attacks and March 2016 Brussels bombings.